Demonstrate strong writing and quantitative thinking skills. Have prior education in economics and accounting. A student without this background may be challenged by some of the MBA courses and should discuss his or her situation with the program advisor to determine if preparatory courses are advisable. As part of your online application, you will be asked to upload a 500-word essay that addresses the questions below. It should represent your highest level of academic writing and demonstrate your ability to participate in a rigorous, fast-paced, graduate program. Revisions will be requested if these requirements are not met. What leadership skills have you demonstrated in your field? In your own words, describe the attributes and skills you feel are important in leading a business or organization and why? What are your career goals and how will an MBA support those goals? 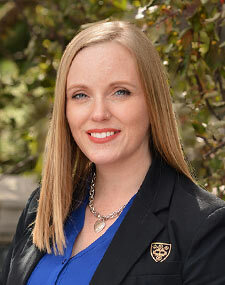 Why did you choose The College of St. Scholastica for your studies? In the online application, upload a current resume listing all education and work experience. Upon receipt of your completed application and transcripts, your application will be sent to the program department for review and the admission decision. You may be eligible to receive transfer credits for coursework you’ve completed. See our Graduate Transfer Credit Policy for more information and complete a Credit Transfer Application Form. This form can be completed and provided to your program advisor and/or program department contact.